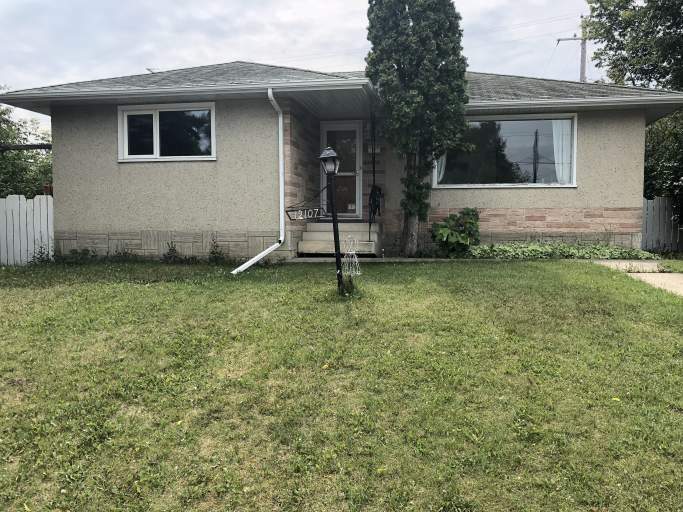 Spacious Three Bedroom Main Floor in Calder! Surrounded By Amenities! Great Place To Call Home! Nestled along 132 Avenue in the quiet Calder neighborhood, this bright main floor suite puts you just blocks from Northgate Centre, North Town Centre and just minutes from NAIT, Kingsway Mall and the Downtown Core! With tons of parks, school and small retail within walking distance this is truly a great place to call home! Enter through the front door and be greeted by original hardwood flooring, tons of natural light and plenty of space. Off the front entry is a massive north facing living room which boasts an enormous window! Off the living room is a spacious dining room with a small built in hutch and another large window, continue into the large kitchen and find a functional design offering plenty of cabinet and counter space along with a full-size fridge and stove. Down the hallway you will find a stylish full bathroom complete with a tub shower, two large bedrooms with built in closets and an enormous master bedroom complete with a feature wall and plenty of closet space! Laundry is shared with the basement tenant and is located in a small basement common area. The spacious backyard offers plenty of green space as well as a large detached garage. Call today to schedule a viewing at the amazing unit!